Border Collies – All you ever wanted to know about the world's smartest dogs. All you ever wanted to know about the world's smartest dogs. Are Border Collies Really the Smartest Dogs? 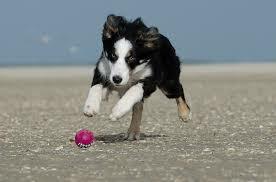 The Border Collie is a highly intelligent dog that regularly wins awards for obedience. She needs lots of open space to exercise. She is a working sheep herding dog and she is the happiest with a job to do. She will get too bored and possibly destructive just sitting around a house alone. She is considered to be one of the most intelligent dogs. While they are rightly regarded as one of the most intelligent breeds of dog, training Border Collies can be quite a frustrating task if you do not understand their particular traits and idiosyncrasies. It is often commented about the breed that you should never teach a trick to a Border Collie puppy that you are not prepared to live with for the rest of their 12 to 15 years they will be with you. Of course a Border Collie is a large dog with seemingly boundless energy and endless curiosity and I certainly wouldn’t recommend using the crate for long periods of time. I don’t think it would be fair on such a dog to be placed in a crate for an entire work day, for example. However, having said that, it is acceptable to use a crate for shorter periods of time and at night when your dog is sleeping. Not only is it acceptable but it can actually be to your dog’s advantage. 1. A crate provides your pet with his own space. A dog, especially a Border Collie, likes to have an open space to exercise but if they do not have their own equivalent of a den or burrow to go to away from that open space then your dog can get overly anxious about roaming and protecting that space. By crate training your Border Collie you provide him with a safe space that he can call his own. 2. A crate is actually a comfort to your beloved dog. Many Border Collie’s fret when their owner leaves the house and they bark until you return home. This anxiety can be alleviated by providing them with an appropriate crate and crate training. Your dog feels comforted in the crate knowing it is a familiar and safe place and as part of your training you teach your dog to understand that you will return home. 3. Crate training can actually assist in potty training your dog, especially if you have a puppy. This is why it is important to have exactly the right size crate or at least have a larger crate partitioned for your puppy so it is the correct size at this younger age. 4. A crate stops destruction of your home and garden. When you do need to leave the house for a couple of hours you can use the crate as a boundary for your Border Collie dog or puppy. Many puppies that are still being trained will cause havoc in a short time when you are absent. If you want to avoid the family room being torn apart or the garden being ploughed up crate training is for you. This puts a lot of stress on your relationship with your dog and it can all be avoided by crate training. 5. Destructive dog behaviors put a lot of stress on your relationship with your dog. When you come home to find your clothes and shoes chewed or your flower beds upended it can put stress on the whole family. These situations make you angry and you take it out on your dog by yelling at him profusely. The problem with this scenario is that you are yelling at him after the event so he has no idea what the problem is. By avoiding the situation in the first place with crate training and implementing good dog training you will build a healthy bond with your Border Collie. Crate training can be used to provide a boundary for your dog or it can be used as a tool to assist in other training. It can be used to assist in potty training and it can be used to solve sleeping issues with puppies. There are a variety of reasons why you would consider crate training and hopefully this article has stirred you on to find out more. 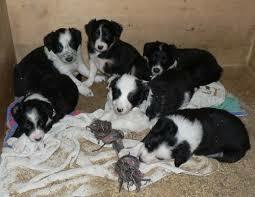 Border Collies are beautiful family pets, they are intelligent and energetic and full of personality. They respond well to training and it is good to know about crate training so you can incorporate it into your dog training plan. Ideally crate training should be done with a puppy so the younger you start the better. If you provide your dog with a safe comfortable space they will thank you for it. For a fantastic contractor specializing in air conditioning repair Brunswick Ohio look no further than Kamm Star Contractors! 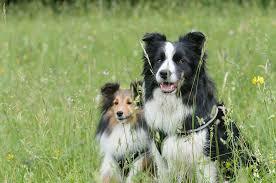 Border Collies are sheep herding dogs, which means that they are naturally smart and quite clever. In fact, they’re sometimes so smart that it’s scary. They seem to see around corners. Border Collie puppies, in particular are fascinating to watch, you can just see the wheels turning inside their heads, it’s extremely engaging to observe. 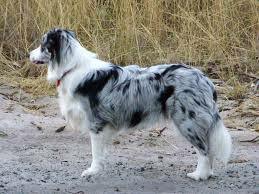 The Border Collie is considered a medium sized dog (they grow to be about thirty to forty five pounds in size). Now, in general, dogs fall into several different categories when it comes to height and weight, just like boxers you could say. There is large, medium, small and teacup sized. Teacups have gotten popular lately because of people like (should we call her a celebrity? )–Paris Hilton. Anyway, if you’re interested in Border Collies then you’re probably not interested in a dog that looks like a cat. Touché. Border Collies are excellent family dogs. They are good around children and they train very easily because of their sheep herding backgrounds. Remember though, all dogs need training, and if you’re a busy person, it’s best to leave it up to the professionals. We strongly recommend obedience school, but if you’re a do-it-yourselfer…well, you should be just fine, just leave yourself an extra hour or two per day for about a month’s time or more. Border Collies tend not to be pure breds, although they do exist, many times you’ll find a dog that’s a mix with majority Collie blood. Nevertheless, these dogs will usually be very sharp and on the ball. Here’s a quick word on finding you new puppy, stick to licensed breeders and if you buy online please be very careful, we don’t want anyone contributing to puppy mills and the mistreatment of animals. Just be aware that there are some slightly shady folks in this trade. You’ll get a sense of “what’s what” if you are simply on your guard. If you’re careful then you’ll find a great licensed breeder who truly loves and cares for their dogs and their litters. Border Collies do tend to have certain problems, as all dogs do, they tend to have flea allergies, renal atrophy problems, and sometimes epilepsy, so be forewarned. But, again all dogs have genetic tendencies. Avoid feeding your Collie sweets because they will get very sick and brush their coat often because you will never damage their oily coats by doing so and it’s healthy for them. If you adopt an older dog, don’t despair. You can still complete dog training but you will need to devote more time to the process. By training your Border Collie as a puppy you gain the advantage of a clean slate. Your puppy is receptive to new ideas and not fixed in old ways. Border Collie puppies are playful and bouncy and want to jump on everything and this is exactly why you should consider dog training early. Rather than face the disappointment and frustration of seeing your Border Collie chew your books and dig under your fence, consider the enjoyment you will get from a well-trained dog. If you look at the situation from your dog’s point of view he will certainly appreciate receiving your attention in the form of praise rather than profanities yelled in anger. Training your puppy from a young age provides benefits to all concerned. Not only will your puppy be happy but your family will thank you for saving them from the drama that always accompanies an untrained dog. Start early, make a plan, follow through consistently and your Border Collie will thank you. A border collie is among the best dog breeds you can have as pets in your home. For your success in training the dog, you should start when it is still a puppy. You can as well train an adult border collie to your preferred way, but it will take more time to learn your way of life as opposed to a case where you will buy a puppy. There is a specific lifestyle which the dog breeds will prefer. It will be easier if you will try and maintain the lifestyle of the dog. For example, Border collie will prefer walking outside. This makes it necessary for you to make an effort and take the dog out for walks for it to socialize. The first steps you should take for your successful Border collie training is to know the facts about the pet. There are several online resources which you can rely on to access necessary information on how to take good care of the pet and make it obey your commands easily. You can as well visit your local vet so that you will know the right steps you should take towards training your pet on how to obey different commands. You should always start early if you will like your puppy to learn fast. Whatever you will teach the pet, it will take time before it can master it fully. In order to ensure the dog learns well and it ends up developing the good traits which you are trying to teach it, always ensure you are persistent. It will require you to be patient. Sometimes you can teach the dog and it needs up forgetting about the things you have taught it, you should always be ready to repeat the process without getting made at your pet. In order to find it easy when trying to let your dog socialize with other dogs and people, you should teach it on how to socialize. You can start by taking it to social places where it will meet with other dogs and people. Always be careful not to let the dog get injured in fights or bite other people if it is your first time taking the dog to social events. In order to find it easy for you to live with the dog, you need to potty train it. You should be persistent and tech it using the same command. For example, you should ask the dog to go potty when you will like it to use the potty. This is among the steps you should take so that you will avoid cases where you will be embarrassed to have the dog in your house. It can take time for the dog to know how to use the potty, but with persistence you will finally teach the dog. Apart from potty training, you will have exercise and crate training. In order for the dog to learn all the commands you will be using, try to always use simple commands which the dog will associate with certain actions. You should as well let the dog learn your facial expressions or sign language. Lexington Concrete is our fantastic sponsor for today – be sure to show them your support! Border collies are social, intelligent, and enjoy interacting with their owners. Some people consider them as one of the best breeds for pets because of their loyalty, devotion to the family, and obedience. The breeds love to make their owners happy and do make great pets if given plenty of attention and lots of exercises. However, for perfect companionship, there is the need to be prepared for their unique needs and behavior. Regular brushing is a necessary aspect of pet ownership that should not be overlooked. Border collies have a double coat. To keep their coats smooth, shiny, and healthy, keep them regularly groomed. You are likely to notice hair on your clothes and furniture. Brushing off the hairs at least twice a week will get rid of the hanging loose hairs, reduce the appearance of hairs in your house, and improve the pet’s coat. Border collies don’t generally need a regular washing. In fact, it’s best to wash the pet only when necessary. When you decide to give it a bath, use appropriate products. Human shampoos are not the best for the pet. Being very social, border collies suffer a complication known as separation anxiety when their owners leave them alone, and can be destructive to themselves. To prevent this, it’s imperative that you get a new dog so that they may be playing together when you are away. 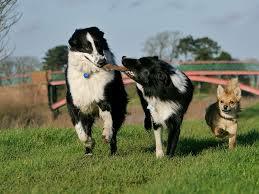 Border collies can be very possessive and may not get along with other dogs. Ensure that the dog you are getting is of the same color and age. Another way to deal with separation anxiety is proper training. Leave your house for ten minutes and come back. Do this for a few days, slowly increasing the length of time you are away. With time, your dog will realize that you don’t want to leave it alone and you will come back at some point in the future. Whenever you return. It’s good not to lavish your pet immediately with attention. Wait for about five minutes for it to calm then show attention by petting it. You may give it a treat, but only after it has calmed. By doing this, your dog will associate your leaving with a favorable outcome of a treat when you come back. Border collies have a herding instinct and will herd anything moving, including small children. If the child darts across the living room, your pet might try to cut him/her from escaping. If your kid is scared easily of aggressive behavior, the border collie is not the best for a pet. If your kids are aged ten or older, a border collie will make an excellent match. Herding dogs are known to nip. A border collie is a no exception. It will herd everything that moves including car tires, bicycles, children, and other animals, and if it doesn’t obey, it gets nipped. Nipping can result in a bite and you might be sued for injuries. Though the herding instincts cannot be removed, the nipping can. When the pet nips, say a firm no. You can also make a whining hurt noise. Teach your family to say a firm no whenever he nips. With time, though he can’t understand your language, he will get the message clear. Consult a dog trainer if the nipping doesn’t stop despite your efforts. A well deserved thanks to our sponsor for this post, Birmingham Security Camera Installation! Easily one of most intelligent dog breeds, Border Collies are the ultimate working dogs with extraordinary instincts. Like most working breeds, they need to have jobs. They seek purpose in life by doing work. Workless dogs will always try to find something to stimulate their bodies and minds and if you don’t give them something productive, that might mean that they become rowdy and destructive. With an average lifespan of 12-15 years, this medium size dog usually weighs between 30-45 pounds. They are the Type A personalities of the dog world. The Border Collie has only one thing on its mind – work! Without adequate exercise, not just a casual stroll around the block and ample mental stimulation, they can become acutely neurotic and develop serious inappropriate behavioral issues. This dog needs a job! One of the primary reasons why so many Border Collies or Border Collie mixes are found in rescues and shelters is they had the wrong owner. They are not the perfect dog for an inexperienced dog owner! They are remarkably intelligent. They are easy and fun to train. But, being from the Herding group they can quickly revert to inherent behaviors, which are exceptionally hard to modify. For example, chasing cars, other dogs, cats, squirrels, bikes, and skateboards can be an on going problem, even for the most obedient. An experienced owner recognizes their dead give-away that they are about to shut the world out and do what they were born to do. It is their powerful stare. Incredibly, they shut everything else out, and focus only on the victim(s) of the chase. Without appropriate training, it’s almost impossible to get their attention to a recall, when they are in their working mode. This is a dog that is not happy when they are not working. If you don’t have a farm or lots of land to roam, be prepared to participate in rallies, obedience, flyball, Frisbee and agility competitions. Plan to have a trophy room. Give them the time and attention they require and they will make your efforts worthwhile. They are show offs. They love to perform and they thrive when the spotlight is on them. Because of their incomparable instinct in herding, demanding nature, high level of energy and their endurance, they are not not good apartment dogs, nor are they recommended for older people and/or families with small children, cats and sometimes even other dogs. Their impulse to nip, push and bark is inherent and just about impossible to modify. They need positive reinforcement, punishment-free Puppy Kindergarten at an early age. Socialization with people and other dogs is crucially important. It is imperative they receive as much obedience training as possible. They will not disappoint you. They will succeed with every challenge and respect your convincing leadership. Most Border Collies would rather spend their days outside having an adventure with you, rather than plopped on the couch in front of the TV cuddling. This is not the right dog for an inactive family! They are emotionally and keenly sensitive to their family and surroundings. Without proper training and socialization, they can be wary of strangers and without warning, snap at children and adults they do not know. Border Collies have their fair share of predisposed health issues. They include: elbow and hip dysplasia, Collie Eye Anomaly (CEA), epilepsy, allergies, Ostenochondrosis Dissecans (OCD), deafness, arthritis and Progressive Retinal Atrophy (PRA). Seasonal shedding should be expected. Their medium length coats require regular brushing and baths when needed. Bottom line: Do your homework. This is a dog that demands loads of attention, hours of exercise and fair, firm, consistent leadership. They do best where there is plenty of room to run. Keep them in a small yard unattended, there is no question they will find a way to escape as soon as they are bored. Avoid flea markets and pet shops. They only perpetuate dreadful puppy mills. Find a responsible, trustworthy breeder. Shelters and rescues overflowing with Border Collies give credibility they are not the easiest dog to live with. Who knows, if you have what it takes your new best friend may be anxiously waiting for you there. Be sure to click here to learn more about our sponsors for today!